A renovated Andalucian Farmhouse in the village of Lubrin in the Province of Almeria, Spain. The self catering apartment offers the best in holiday rental accommodation direct from the owners. The Cortijo is set in 2 acres of terracing with truly panoramic views of the surrounding village and mountains. The apartment is designed for 2 people and offer spacious and comfortable self catering accommodation. There is a separate living room, well equipped kitchen, bathroom with shower and spacious double bedroom. Outside has 2 private terraces with BBQ and garden furniture. From each terrace there are totally uninterrupted views of the mountains and on a clear day, the Mediterranean which is about 12 miles away as the crow flies. The landscaping in restful and relaxing and there is a swimming pool ( May to October) to cool down on those hot sunny days. If you are looking for solace and tranquility and an unforgettable experience of Spanish mountain hospitality, from the delightful and charming villagers, then please come and visit us. Apartment Rambla is within easy walking distance of the charming and delightful Andalucian village of Lubrin in the province of Almeria. 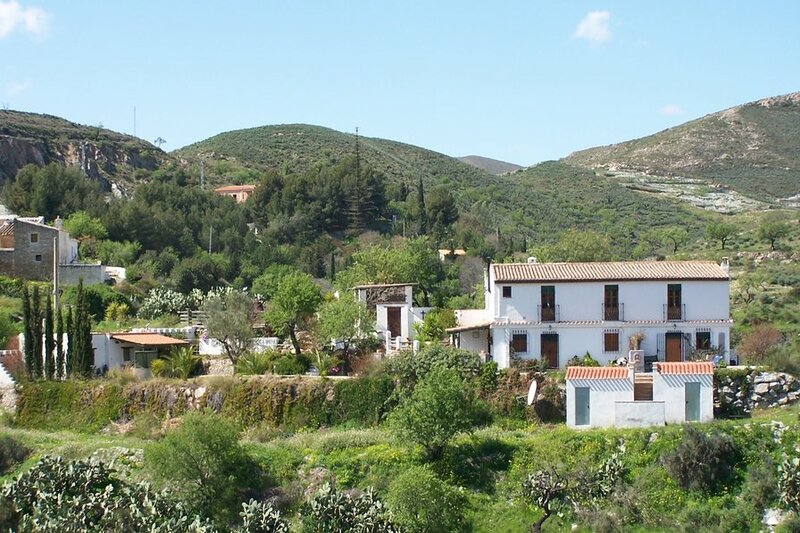 The village is very Spanish and nestles high in the Sierra Los Filabres some 2000feet above the well known beach resorts of Mojacar and Garrucha which are just 45 minutes away.